Heat the oven to 375°F and arrange a rack in the middle. 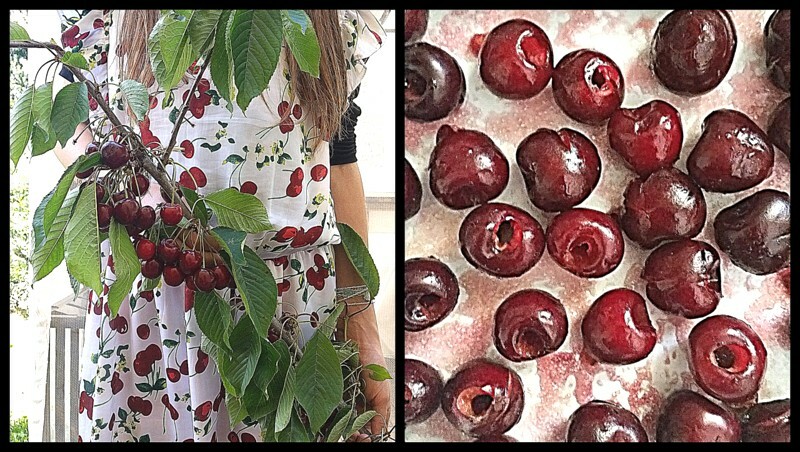 Coat a medium oven-safe frying pan (about 10 inches in diameter) generously with butter and arrange the cherries in a single layer; set aside. 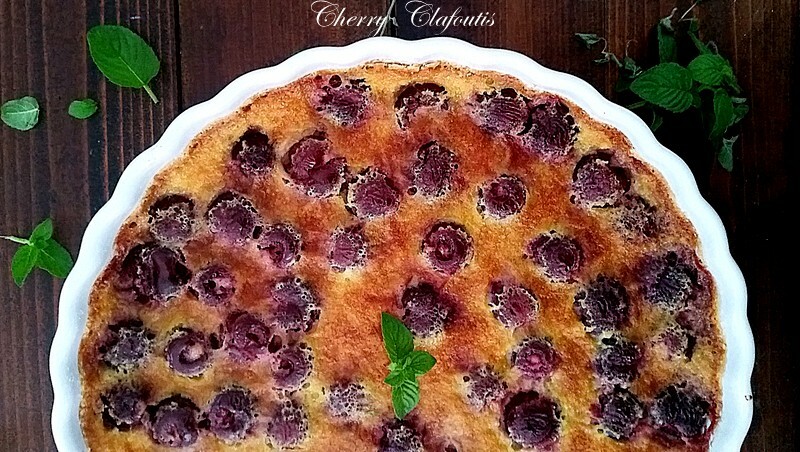 Combine the eggs, milk, sugar, extracts, and salt in a large bowl and whisk until smooth and the sugar has dissolved. Add the flour and whisk until just combined (small pockets of flour are OK). 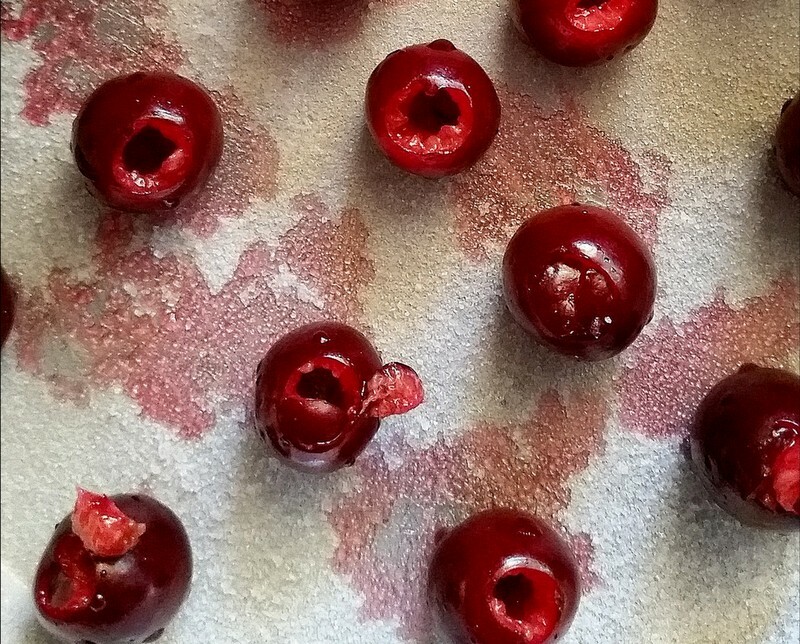 Pour over the cherries in the prepared pan. Bake until set, puffed, and light golden brown around the edges, about 30 minutes. 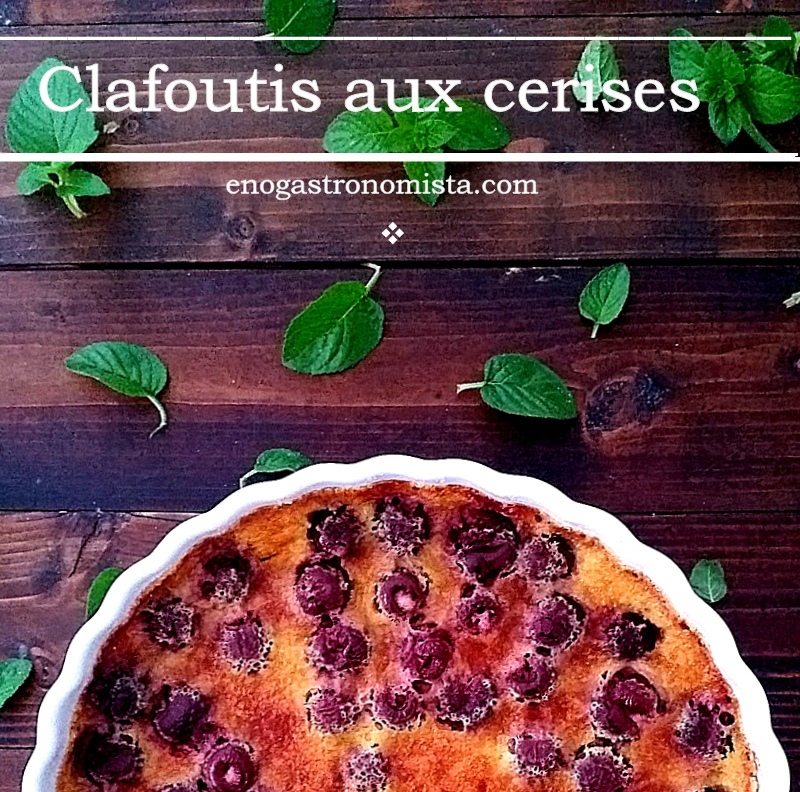 This entry was posted on 17 July 2015 by enogastronomista. 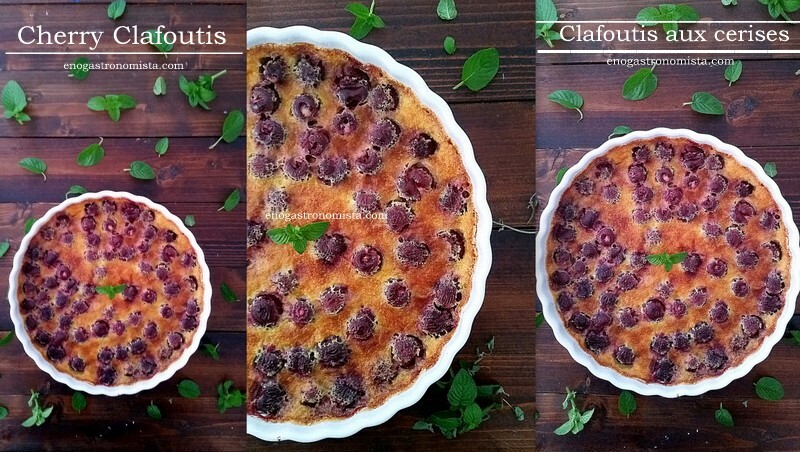 It was filed under Desserts and was tagged with cerises, cherries, ciliegie, clafoutis, ψητη κρεμα κερασι, κερασια.